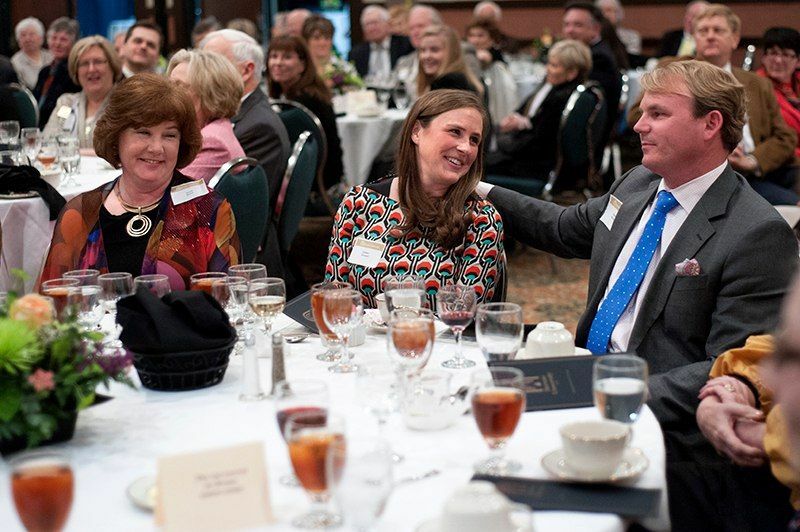 Emmie Howard, center, looks to her husband Tom as Brenau University President Ed Schrader announces her as a Distinguished Service to Brenau Award winner during the 2013 Presidents Club Dinner. Brenau Trustee and alumna Emmie Howard, WC ’01, is featured in the May/June 2016 edition of the Atlanta Journal-Constitution’s Living Intown Magazine. You can read about the founder of the successful clothing line Southern Proper at http://www.ajc.com/news/lifestyles/fashion-style/southern-proper-appeal/nrDN6.